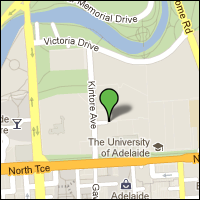 TERN AEKOS is located at the University of Adelaide's Waite Campus, Davies Building. A detailed map of the Waite Campus can be viewed here. You can call our switchboard on +61 (0)8 8313 1142 or send a fax to +61 (0)8 8313 1191.